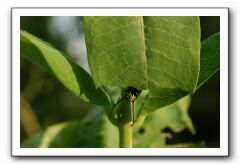 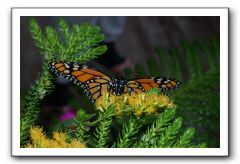 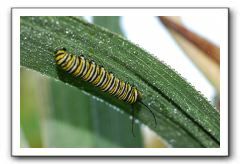 We have had 3 monarch caterpillars on the milkweed plants in our vegetable garden. 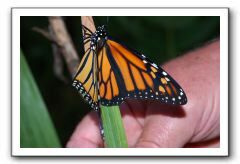 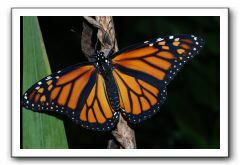 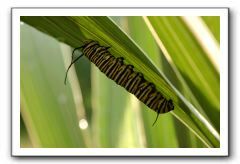 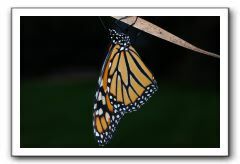 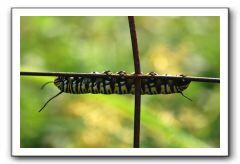 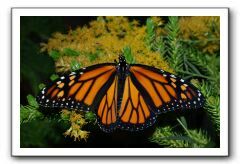 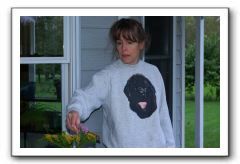 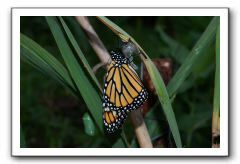 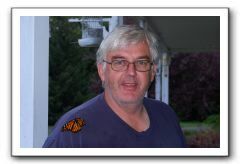 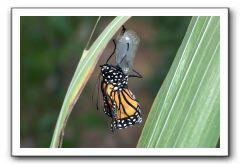 The pictures here are a combination of two of them as they metamorphosed from caterpillar to butterfly. 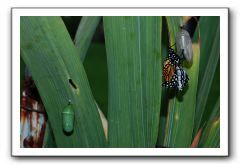 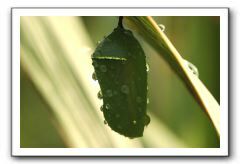 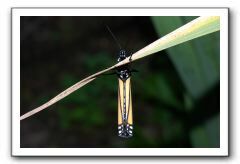 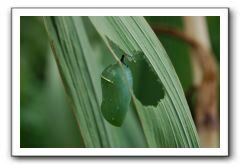 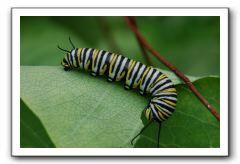 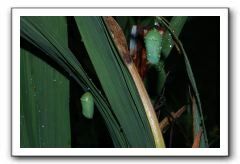 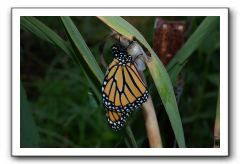 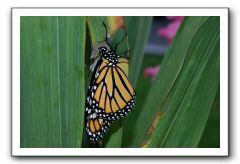 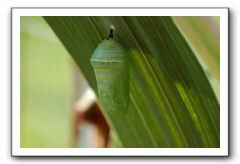 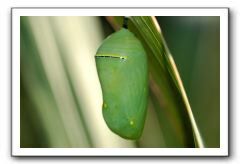 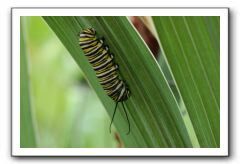 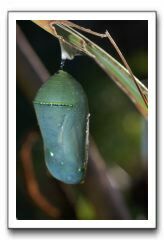 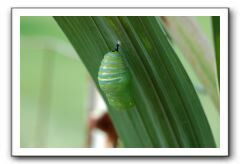 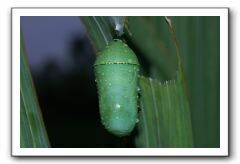 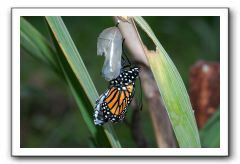 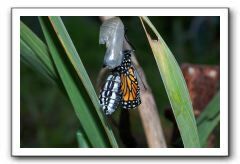 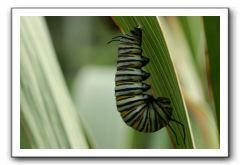 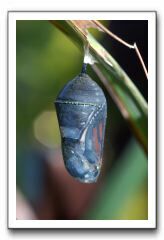 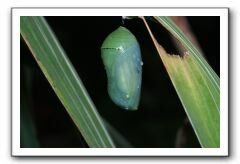 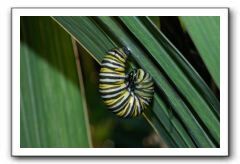 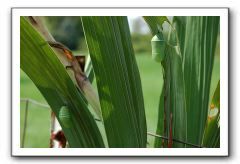 The caterpillar pictures are of the second caterpillar to cocoon, the butterfly pictures are of the first that emerged, and the cocoon pictures are a combination of both of them. 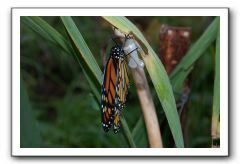 The pictures were taken by Lisa and Roger using Lisa's Nikon D50 6.1 MP digital camera with a 55 mm macro lens. 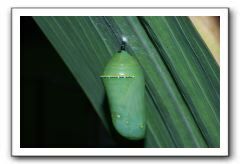 About 5 hours after "hatching"